NEXT.cc is a collaborative effort by principals, teachers, architects, artists and students. We are a multi generational diverse group who believe that creativity is key to human innovation and our cultural evolution. With different fields of knowledge and experience, we work together to create the eco web of possibilities to reach imaginations in all corners of the world. Mark and Linda Keane, AIA, NCARB, architects and partners in STUDIO1032 work on green initiatives along the Chicago-Milwaukee corridor. Leaders in design education, Linda is Professor of Architecture and Environmental Design at The School of the Art Institute of Chicago where she directed the City of Chicago Green Roof Website and chaired development of a third accredited Master of Architecture program in Chicago. Mark is Professor of Architecture University of Wisconsin Milwaukee where he developed the first online minor in architecture. 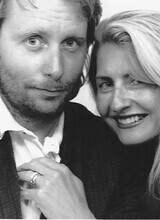 The Keanes create animated films, lecture and publish about the Aesthetics of Sustainability and need for Eco literacy. Architecture An Interactive Introduction is the first CD ROM about the built environment created in the US. Their service learning work with college design students (SAIC’s Eco Design and UWM’s Green Milwaukee) connect design imagination with human ecology. The Association of Collegiate Schools of Architecture, American Institute of Architects, Art Institute of Chicago, National Endowment for the Arts, National Environmental Education Foundation, A+DEN Architects and Design Educators Network, Association of Architecture Organizations, Public Broadcasting System, Graham Foundation, Wisconsin Arts Board, United States Green Building Council and the Union of International Architects recognize their creative contributions to design education. Bob Tiede was first to create web layout and navigation for the original 16 NEXT.cc journeys. Graduating with a Bachelor of Science in Architecture, he contributed multifaceted talents as NEXT.cc gained national and international recognition. Designer of many of the captivating graphics including the iconic 9 scales and logo, Bob concentrates on conceptual navigation, layout, coding, and graphic art. In addition to visual critique, Bob designs and fabricates furniture and practices architecture in an award winning Appleton architecture firm. 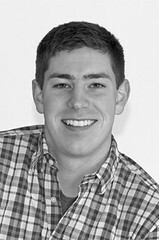 Ted Kimble began working with NEXT.cc while completing his Master of Architecture degree at the University of Wisconsin-Milwaukee, after previously earning a Bachelor of Arts degree in physics at Macalester College. His interest in science and theory continues as studies the implications that a Deleuzian neo-materialist philosophy has on the design process. 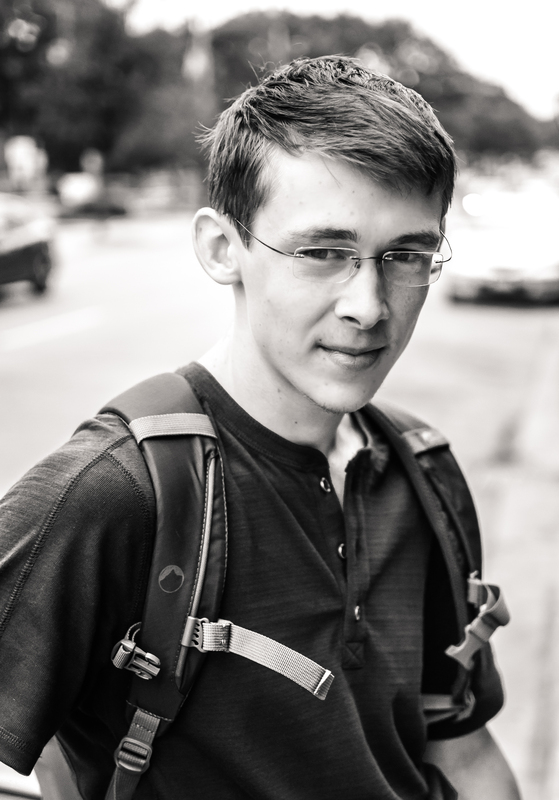 He masterminded the open source management for NEXT.cc and currently works as an independent designer, writer and artist. He maintains a practice of digitally innovative works in Seattle. Kevin was a self-employed builder in rural Kentucky before returning to UW-Milwaukee to earn his Bachelors of Science in Architecture. Beginning as a Next.cc Pilot Partner, examining and testing journeys, his duties quickly expanded to new journey research, graphic design, web management, editing, grant proposal writing, and press releases. Kevin continues to keep involved in NEXT.cc’s development. Currently, he has achieved his Master of Architecture degree at Harvard Graduate School of Design and is working. Andrew is a designer, builder, thinker, maker and creator. Educated at the University of Wisconsin-Milwaukee where he attempted a campus wide recycling movement, he was instrumental in expanding NEXT.cc from the original 16 journeys to over the first 100. He set up the link checker and the site tracker programs. 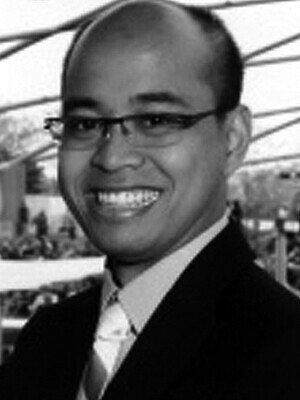 Completing a Master’s of Architecture at Massachusetts Institute of Technology, he is design engineer atA. Zahner Company that works at the intersection of art and architecture, exploring its interface with a seemingly infinite series of disparate things. Drawing from a diverse educational background beginning in Industrial Design, then Music Performance, and having recently graduated with a Bachelor’s Degree in Architecture from the University of Wisconsin-Milwaukee, Tom considers himself to be a lifelong student of design, allowing it to take him wherever it demands.Portfolio. Ever-seeking new experiences and encounters that might build upon past experiences and knowledge, allowing him to approach static, ordinary tasks with broader, more diverse perspective, Tom hopes to never stop learning and is a passionate believer in the importance and responsibility of design. He currently serves as Manager of User Experience Design at Advicent. Kelsey joined NEXT.cc as a freshman from the University of Wisconsin-Milwaukee pursuing a Bachelor’s Degree in Architecture and a minor in graphic design. 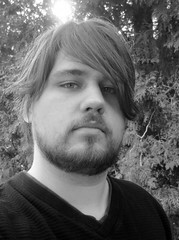 Bringing artistic experience in traditional and digital media as well as music (drums, piano, saxophone, writing and recording), he focuses on the development of graphics and research for new journeys. 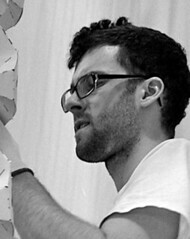 Kelsey’s interest in connecting art and design coincides with his desire to approach problems in new ways. His chair “Quadro” took first place in the 2017 SARUP Nemschoff Chair Design Competition at the University of Wisconsin-Milwaukee. Since graduating from The University of Wisconsin-Milwaukee, with a Bachelor’s of Science in Architecture, Jeff has explored the relationship between design and film working as a freelance film maker and videographer. Jeff is also a founding member of Moleskin Productions, a group of artists of different backgrounds that combine, music, writing, acting, digital media, art, and design to create films for clients, competitions, and the web. A recent MFA Interior Architecture graduate of the School of the Art Institute of Chicago, Nahyeong brings a decade of architectural study and experience from Korea. She creates designs with natural forms and processes as she believes nature is the most important connection for human life. 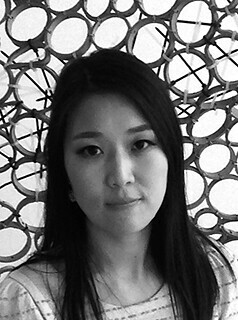 Nahyeong enjoys investigating sources, forms, and materials of nature in creating eco-friendly responses and environments. Having previously studied music performance at UW-Milwaukee, Jonathan Nelson found his calling in architectural design, and hasn’t turned back since. 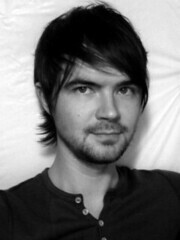 His diverse background as a musician and designer has helped him contribute to NEXT.cc’s unique, all-encompassing journeys. Upon graduating from UW-Milwaukee, he is working in Seattle where he uses his experiences to design architecture that solves social, environmental, and economic problems simultaneously. Yingyue Yu received her Master of Art in Art Education at the School of Art Institute of Chicago, after studying Architecture and Environmental Design in China. 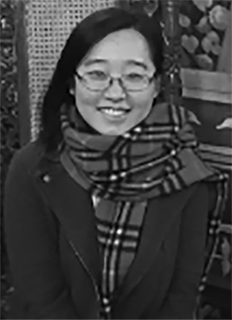 Yingyue wrote her thesis about Architecture Education as development of design process through critical thinking with social responsibilities. She believes that education is one of the best ways to connect people and light up the future. After serving a summer internship with the Goodman Theater, she returned as the right hand of NEXT.cc in Chicago. She works daily on an endless scroll of beautiful drawing to soothe her soul and now teaches English in China. Our Outreach Board consists of individual activists from environmental, economical and educational organizations. Outreach Board Members assist in national and global dissemination of the importance of eco literacy and creation, communication and collaboration on issues of human ecology. Outreach Board members contribute unique areas of expertise and professional skills connecting NEXT.cc to wider audiences for wider purposes in rethinking relationships between the natural and built environment. Born and raised in Istanbul, Turkey, Ceyda was inspired to experience Interior Architecture education in the United States at the School of the Art Institute of Chicago. Accepted as a Merit scholar, she interned with Chicago architecture and interior design firms before creating learning environments for a proposed Montessori School. 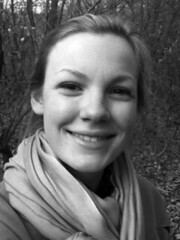 Ceyda recently graduated with a Masters of Designed Objects and currently works at Mozer and Associates. 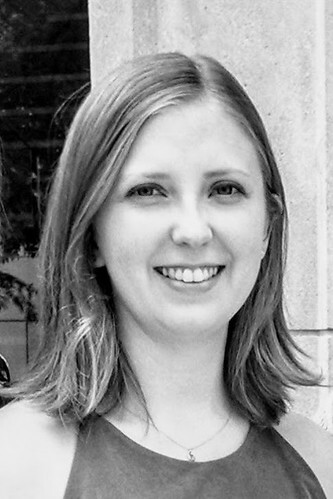 Paige Alfuth is an architectural intern at Boer Architects, Inc.,Milwaukee, where she leads programming, space planning, and interior design efforts. Responsible for Construction Documents, Design, and Project Coordination, she joined Habitat for Humanity to support community and human rights and to gain perspective on the built environment. Outside of work Paige spends her time at the front desk of Yama Yoga enjoying opportunities to expand her practice of mind, body, and spirit. Lately devoted to brewing kombucha and learning fermentation processes, she gardens, cooks, explores oils and herbs, and creates art. She also loves to spend time with family, friends, and pets and travels whenever/wherever possible. After decades as a manufacturing executive who traveled the world to make, buy and sell engineered products, Jackie joined NEXT.cc to help change the world! With degrees in mechanical engineering, finance and historic preservation, Jackie works the business and outreach phases of NEXT.cc. Jackie’s lifelong and varied interests in the built environment, education, STEAM, research, travel, photography and writing are built into her consulting work with Promising2Performing. Everyone and everything have promise and purpose. Jackie aids their transition to efficiency and performance. As a grower, designer, consultant, teacher and speaker, Roy’s enthusiasm for plants is irresistible. Author of Small Perennial Gardens, The Know Maintenance Approach, his garden designs emphasize plant relationships to maintenance strategies and costs. His recent work includes the Louis Sullivan Arch Garden for the Modern Wing at the Art Institute of Chicago and lakeside plantings for Chicago’s Shedd Aquarium Oceanarium. Roy works with NEXT.cc envisioning outdoor learning environments for green schools. Kadi is a NEXTer from the first Eco Design class at The School of the Art Institute of Chicago. After completing her BFA at SAIC, she attended ARCHEWORKs in Chicago and recently completed a Master of Architecture at the University of California-Berkeley. While at UC Berkeley she created KIDMob a group of Graduate Architecture Students who believe in the transformative potential of design and iteration. She takes her passion for design to the road and conducts design intensive workshops with 7th and 8th grade students sharing NEXT.cc journeys. 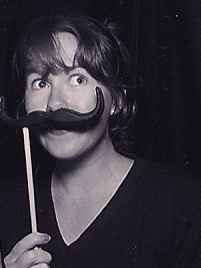 She currently works at AUTODesk in the Design Education Division. Debra aligned NEXT.cc Journeys with the Next Generation Science Standards. Drawing on both research and classroom experience, she targeted the Journeys and links that enable teachers to bring the Disciplinary Core Ideas easily to life in their own classrooms. Debra completed an undergraduate crafts major and worked as a studio potter before beginning a teaching career spanning kindergarten to college classrooms. As a graduate student at the University of Chicago, she studied the scientific foundations of John Dewey’s education experiment, one of our earliest models of transdisciplinary learning. Through teaching, grant writing, and curriculum development, Debra helps fuel the STEM to STEAM and Design Thinking movements that are bringing Dewey’s active learning to a new generation of students. Marie is an architectural designer who explores how design influences the ways we learn, work and play. For her thesis, she studied how architecture can connect students to their environments by using the city, site, building, and interior as scales of one interconnected learning environment, specifically to support the holistic pedagogy of Montessori. 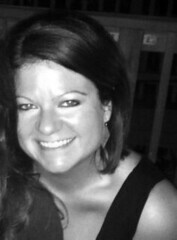 Marie especially has a passion for introducing kids to design opportunities and STEAM education. 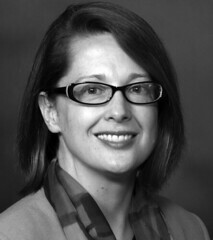 She coordinates the partnership between NEXT.cc’s ELearning and AIA Chicago’s “Architects in Schools” program. She has a Master of Architecture from the School of the Art Institute of Chicago and a Bachelor of Science in Architecture from the University of Cincinnati and is excited to join her passion of working with students and school design. Sonya studied Lighting Design at Parsons The New School building uon her BA in Architcture from Taiwan where she is from. She then completed an MFA in Interior Architecture at The School of the Art Institute of Chicago. Interested in the mix of eastern and western architecture, interior architecture, and lighting in new and innovative spatial experiences, she embeds social and environmental issues throughout her design projects. Working between Taiwan and the US, Sonya contributes journeys and introduces NEXT.cc’s Eco Web to Taiwanese schools. She works as a lighting designer on varied space types including aviatic, residential, office, and hospitality worldwide. Her lighting projects focus on providing sufficient illumination, reflecting and respecting architectural elements, and creating atmosphere. Sonya’s website ChinyunLai. Rebecca assists with teacher and students workshops for NEXT.cc. 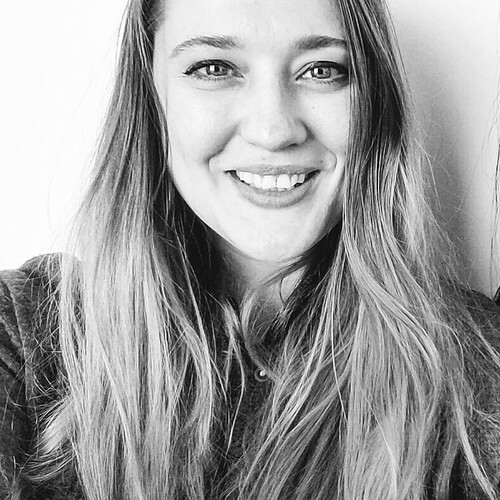 An Associate Designer with Soucie Horner, Chicago, she is a graduate of The University of Wisconsin-Milwaukee, studying in Chicago and Paris, before completing a Bachelor’s of Science in Architecture with a minor in Art History. She is preparing for graduate school followed by professional licensing. Her studies, travels and experiences are just a glimpse for what’s ahead in her future for working with design. 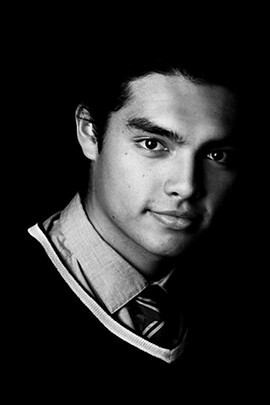 Lee, a 2011 MAAE graduate at the School of the Art Institute of Chicago, focuses on digital technology and design in higher education. His thesis, Digital Technology and Design in Art Education features NEXT.cc and other design progressives. Studying Graphic Design at the University of Michigan (BFA 2003), he served as a TA for the Department of Art & Design and taught drawing and painting at the Ann Arbor Art Center. He works as a graphic artist in Ann Arbor, MI in the winter season and operates a candy shop on Mackinac Island, MI in the summer. A past ballroom competitor, he can often be found teaching dancing, as well as drawing. Lee’s Illustration and Cartoons. Ljiljana is a Public History-Museum Studies and History M.A., having earned her degrees from Eastern Illinois University and UW-Milwaukee. She also holds a certificate in Nonprofit Management from the Helen Bader Institute of Nonprofit Management at UW- Milwaukee. Over the years she has interned, volunteered, and worked in a number of museums across Milwaukee and Chicago. She began collaborating with NEXT.cc after meeting Linda Keane at a Chicago HIVE workshop, and later co-writing a grant with NEXT.cc. Currently she is employed at Elmhurst College, where she is a Prospect Research Coordinator. 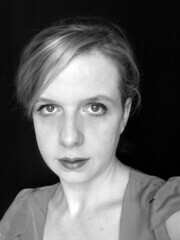 Jessica Hope Mondo teaches in Abu Dhabi, United Arab Emirates as Professor for New York Institute of Technology Architecture and Interior Design College. She received a Bachelor of Interior Architecture from the School of the Art Institute of Chicago and a Masters of Architecture from the University of Illinois at Chicago. Before teaching, she was a Senior Technical Architect for Skidmore Owings and Merrill working on global projects. Currently beginning her PhD at the University of Cambridge-Wolfson College, she is spatially passionate and sensitive to details in and between the world’s of making and theory. Maureen is an architectural designer, educator, and activist. 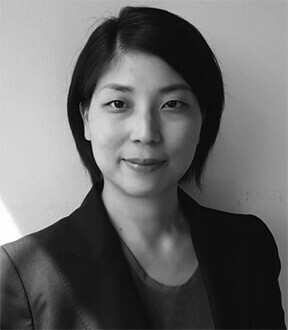 She worked as the NAAB Accreditation Coordinator and taught in the graduate architecture department at the School of the Art Institute of Chicago, where she received her Master of Architecture in 2010. An Eco Design NEXTer, she is currently the Project Manager at Blue Moon Rising, an environmental retreat on Deep Creek Lake, Maryland where she contributes to design and educational programming. In addition to NEXT.cc, she currently mentors middle and high school students. 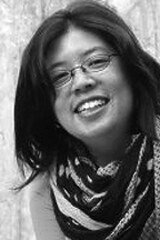 METIS Design LLC is the architecture firm co-founded by Anna Ninoyu, AIA and her husband Kris Gorospe as a conduit for cultural exchange and innovative design for functional and life improving environments. Together they have practiced for established design and construction firms in Chicago for a combined 25 years, leading projects of various scales and complexities. With their involvement at the School of the Art Institute, Illinois Institute of Technology, American Institute of Architects, U.S.-Japan Council and American Society of Healthcare Engineers, their passion is to prepare the next generation of architects to be creative and responsible thinkers and global collaborators. METIS serves to represent a high standard for aspiring and practicing architects and help diversify the design and construction industry with cultural and environmental ambassadorship. Architect, educator, and environmentalist Robin Randall leads Legat Architects’ K-12 Education practice. She has led planning and design for over a hundred K-12 and higher education projects during her 25 years in the industry. Robin also founded EDlab, a research engine aimed at achieving better learning environments and understanding how sustainability impacts communities Randall is currently Robin competes in mini-triathlons to balance her love of chocolate. Hobbies are traveling to modern twentieth century architectural sites and organic gardening. Our Advisory Board of experts represents a broad band of cultural enterprises and environmental, economical and educational research organizations. 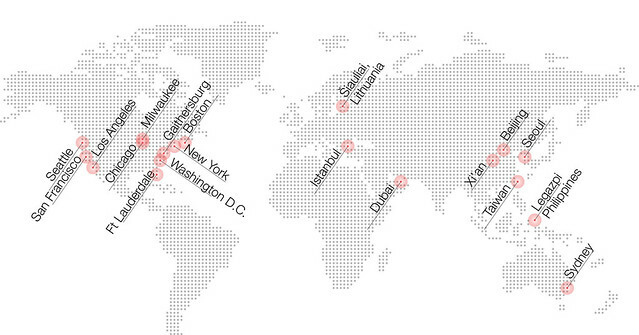 As involved activists, NEXT.cc’s Advisory Board informs our transdisciplinary approach and programs. They contribute current thinking and offer resources from related fields of public policy, business and finance, education, innovation, visualization, engineering, law, marketing, science, technology and urban planning.